You wouldn’t trust one of your most valuable assets to just anyone would you? Of course not! Did you know that there are over 2,500 car shipping companies you can find online? Not every company is created equal and it’s always a good idea to get to know who you are doing business with so that your experience can be a positive and smooth experience. Reading as many car shipping companies reviews as possible allows you to avoid companies which received bad testimonials from prior customers and avoid headaches. 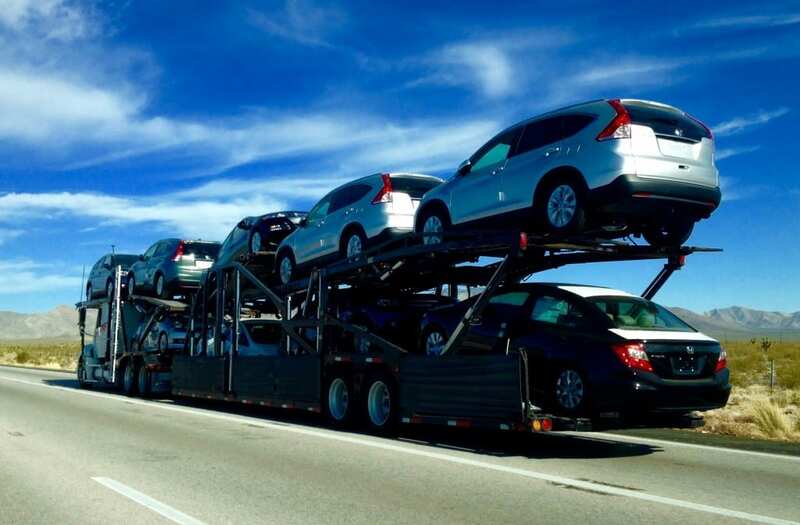 By doing a little research, you can find and choose one of the best car shipping companies with courteous liaisons who will give you useful information and guide you through the process with a timely delivery of your vehicle in the same condition as when it was picked up. Look through various search engines and review sites to find past customer testimonials and the experiences had with a broker who has provided you with shipment quotes. Even though your main goal is to save money, going with a cheap car shipping service may not always result in the best experience. The cheapest quotes may lack the backing of an experienced customer service staff to answer all of your questions accurately and promptly. They may also lack the ability to accurately price the shipping route and locate a driver who is best fit for your shipping needs, resulting in frustration for you and a delay in your anticipated schedule to relocate your car. To guarantee the most positive experience and for peace of mind, spend some time researching the best car shipping companies available. When reading the auto transport companies reviews, be wary if the company sounds perfect in every way or if multiple reviews were posted within the same day/time frame. A company that sounds too good to be true sometimes means that they have paid a company to write reviews for them, solicited friends and family to leave reviews, or the reviewer works for the company themselves. On the other end of the spectrum, be skeptical if there are multiple negative reviews that sound like they could have been written by the same person. There are times when an extremely irate customer will write a review under several screen names, or even a disgruntled employee they may be out to hurt an otherwise reputable company. A legit review of a company will have comments and feedback that span various dates, and include both positives and also feedback on what the shipping company could have done better. A reputable and honest vehicle shipment service will have customer comments that are not perfect 100% of the time. Look for descriptions to include good customer service, friendliness, knowledge of the industry, explanation of expectations, good communication throughout, honest throughout the process, timeliness, quality, etc. Companies that are trustworthy and know the best way to ship a car will have many great remarks and a few negative ones but will mostly have feedback on how the issue or setback was resolved. Taking a little extra time to read reviews will help you narrow down your choice of which company to use to ship your car and ease your worries about the process. And remember to take a minute and return the favor to others who are looking for a trustworthy company by writing a review of your experience as well. For a dependable and quality shipping agent contact CSC. We are just a few clicks or a phone call away to answer all your shipping questions. Enter your auto details in the quote generator towards the top of the page (you can’t miss it, highlighted in blue) and one of our agents will contact you directly to assist you through the process of choosing a company and appropriate service for your needs, budget, and timeline. Act today!